Two new electric trucks are buzzing around the Clark campus as of 2014, with zero emissions and zero pollutants! ITS has a service truck with a compartment in back to transport electronics and computer equipment. Emergency Medical Services new emergency vehicle is also electric, with room for all the bulky EMS gear and an EMS team. The EMS vehicle was awarded $10,000 toward purchase by the Student Sustainability Fund; additional funding in collaboration with University Police and CUSC. Clark is proud to be a ‘Leader’ in the Department of Transportation’s Excellence in Commuter Options (ECO) state-wide ranking. The award was presented in March 2013, due to our many sustainable transportation options for students and employees: shuttles, bike share, car share, van pool, rideshare, carpool parking, bus and train access. Take advantage of going a greener way! 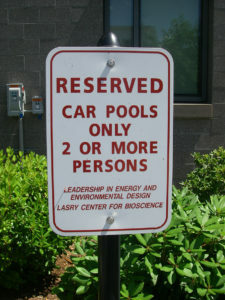 Two plug-in electric vehicle (EV) charging stations were installed in Dec. 2011 at Lasry BioScience and the Woodland St. parking lot. They were upgraded to new models in 2018. 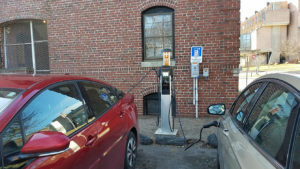 The EV charging stations were the first in Worcester and among the first west of Boston. 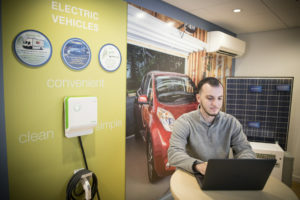 Clark-based Institute for Energy and Sustainability helped get the ARRA award for the ‘Chargepoint America’ networked stations. 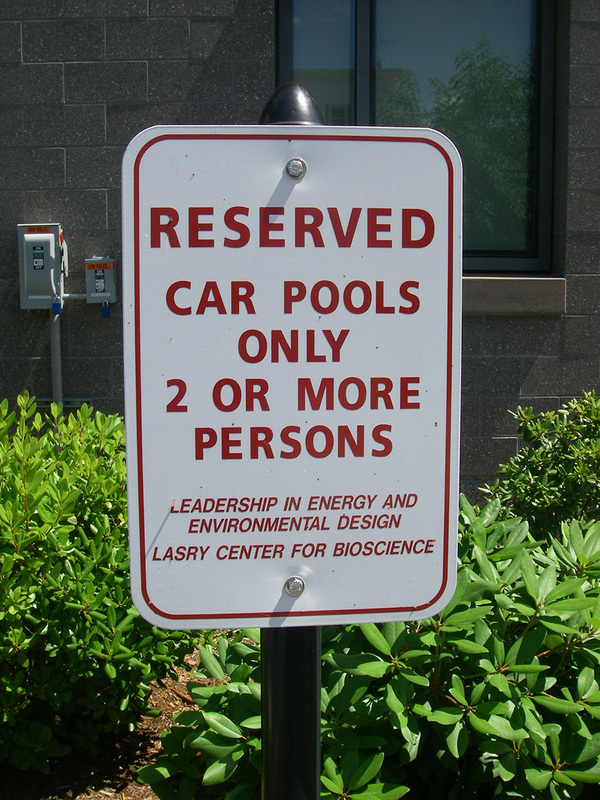 Bring on the plug in electric cars! 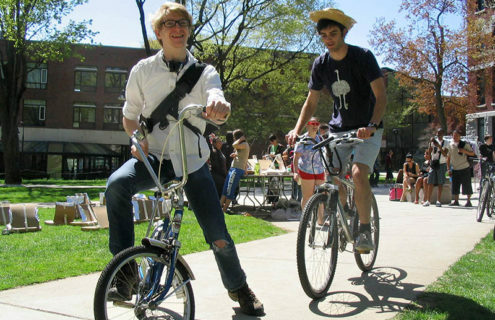 MassDOT sponsors NuRide, and Clark University is now a member — so everyone with a Clark email is a member, too. NuRide provides a self-reporting online tool for every greener trip. If you carpool, walk, bike, use public transit to school, work, shopping, entertainment or even work from home you get points. Points add up and can be redeemed for goods and services. Help Clark achieve its Climate Action Plan goals by taking greener trips with NuRide or other sustainable transportation choices. 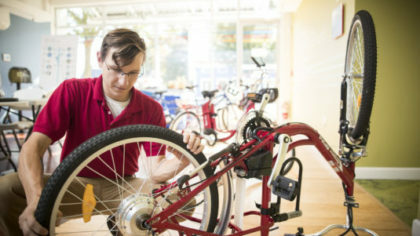 Clark’s student-run bike share program Cycles of Change has expanded and remodeled their workshop and will be offering free bike repair clinics so you can learn how to fix your bike — or they can fix it for you. Over 10 share bikes are available to members.